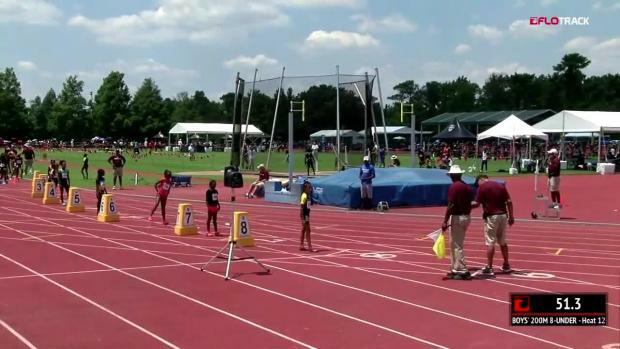 The daughter of one of the best high school football players to ever play in the state of Florida raced to second-place performances in the 100m and 200m on Saturday at the AAU Junior Olympic Games in Ypsilanti, Michigan. 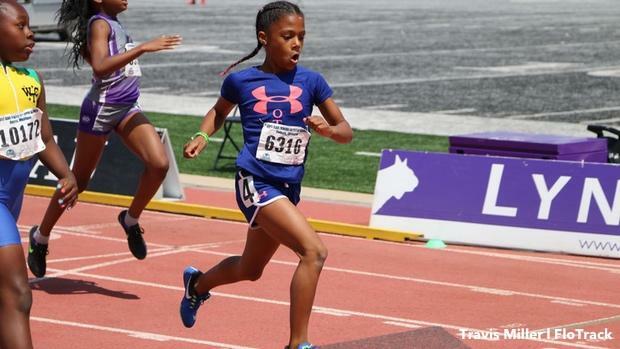 Coincidentally enough, Destyni Devine, an 8-year-old from North Fort Myers, Florida, came up short against two AAU national records by Kansas athlete Juliah Bolden, who showed flashes of potential brilliance down the road as a youth athlete. But Devine wasn't far behind. 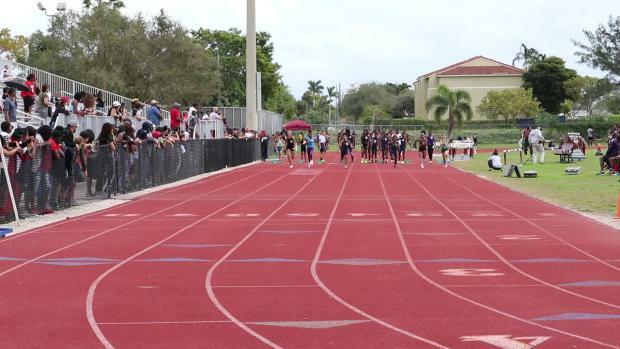 The first-year sprinter went 14.19 seconds (+0.2) in the 100m and 29.4 seconds (+0.5) in the 200m, drawing support from father Noel Devine, a former football prodigy at North Fort Myers High who went on to play for West Virginia University and the Canadian Football League. "I'm proud of my daughter," Devine, 29, said. "This is her first year running. I'm proud of her result. She got second. She worked very hard and there's great competition. It's the best of the best and you have to put your best foot forward. She brought her best and got second place." At one time in the mid 2000s, Devine was a human highlight reel, breaking off extraordinary runs on Friday Nights in Fort Myers in the same way Deion Sanders -- another alum for North Fort Myers -- once did before him. He left the school as the No. 3 ranked running back in the nation. 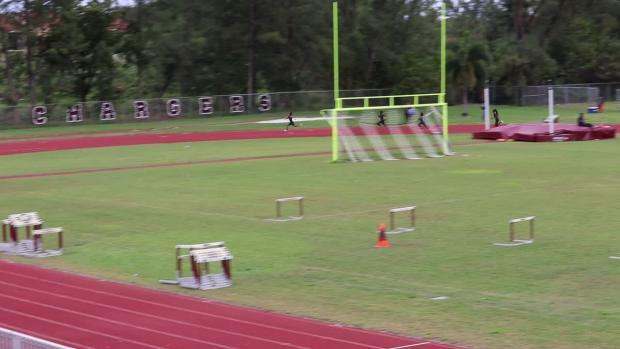 But while he was known for his prolific cutback ability on the field and his viral YouTube highlights, Devine also competed in track and field and ran a personal best of 10.40 and 21.3. More than a decade later at Eastern Michigan University's Rynearson Stadium, he transitioned into being a devoted father, encouraging his daughter through the early stages of her own athletic career. And perhaps that's a nod to what he's overcome in his life, which is well documented here. 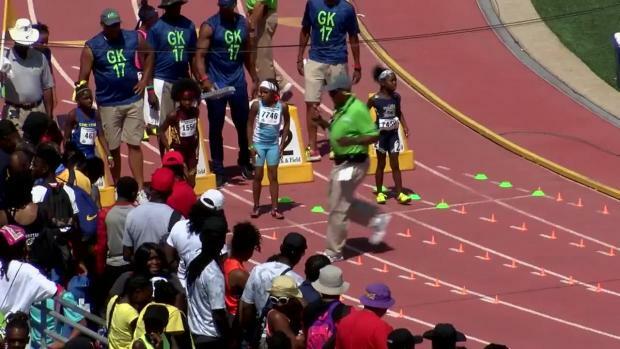 The Devine's traveled to the national meet alongside Calvin Church, who coaches the Olympia Track Club in Dunbar. "You always want to shoot for a first place," Noel said. "But it's the best of the best talent out here. She knows where she stands. This is her first year, so we'll just go from there. We'll work harder to come back next year." Destyni Devine said she was "happy" with the 100m and that she "drives for the first 50 meters" to power her into final phase. Noel later said his daughter is still working on tightening her arm swing and generating a great start. One thing was true afterward, though. Despite two second-place outings, Destyni remains as motivated as ever, saying she wants "to to be the best."